picking involve balancing and nearly falling off. Unfortunately, the bushes were inhabited by wasps so I occasionally got stung in the process. Luckily there are loads of places to pick blackberries where I live, including a few in the garden. So really there's no excuse not to pick any. It also means I can make lots of delicious bakes using hand picked blackberries to distract me from the prospect that summer is over and it's time for school again. Although as I'm moving on to college now, I'm actually quite excited! 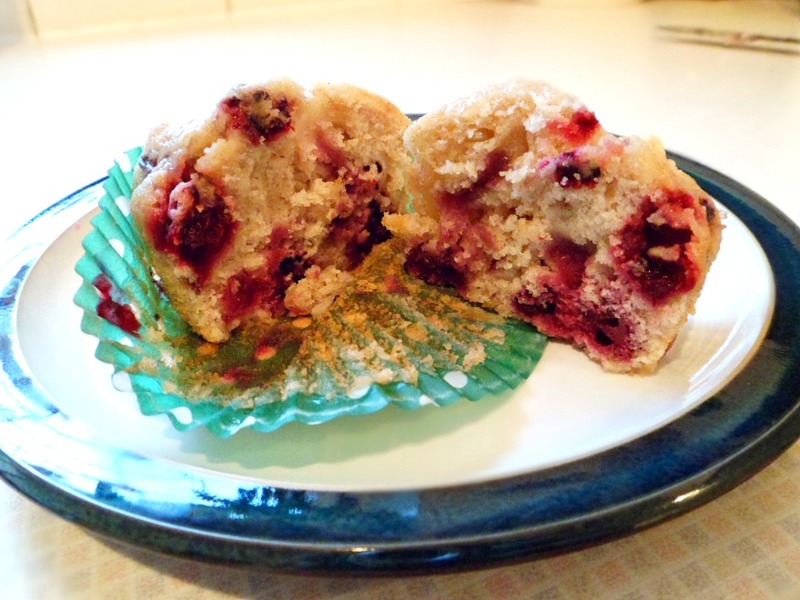 My first blackberry bake is apple and blackberry muffins, as both me and my mum LOVE this flavour combination and I wanted to surprise her after her first day back at work (she works in a school). I know, call me the perfect daughter.. 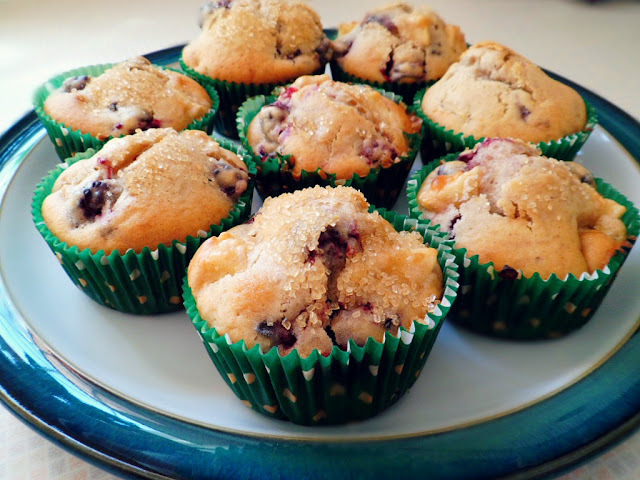 This recipe is from Maria's blog: The Godess' Daughter. It's a beautiful blog with so many lovely recipes. I suggest you take a look! This is the first time I've used oil instead of butter and although I think it would work in a denser, more moist cake, I thought that it was a little heavy for muffins, which as Mary Berry would say, should have a good crumb. However I still loved them! I halved the recipe, expecting it to make 9, but instead it made 11. Preheat the oven to 200oC and fill a muffin tray with muffin cases. In a large bowl, mix together the egg, milk, oil and sugar until they are well combined. Add the flour and sift in the baking powder, cinnamon and salt and mix thoroughly. Core and dice the apples into small pieces and stir into the mixture along with the blackberries. Spoon the mixture into the cases and fill then to two thirds full. Sprinkle some brown sugar on top of each muffin. Bake for 20-25 minutes, until they're golden brown. Remove from the oven and leave in their tray for 5 minutes and then transfer them to a cooling wrack.